HUNTSVILLE — A delinquent motel owner here learned being tardy can be costly as well as a safety risk. 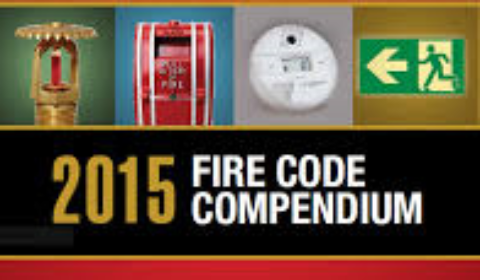 Fire code regulations call for smoke detector users to follow the manufacturers’ guidelines in replacing them. Huntsville Fire Department Fire Prevention Officer Mike Vadlja says the owner of Motel 6 in Huntsville pleaded guilty to a charge for failing to ensure that smoke alarms were replaced within the time frame indicated in the manufacturer’s instructions. The charge was filed by the Huntsville/Lake of Bays Fire Department., under the Fire Protection and Prevention Act,. In Bracebridge Provincial Offences Court hthe owner was fined $1,500 plus victim surcharges. Vadlja says the charge was laid after an inspection of the property in April 2018. The hotel has since been brought into compliance with the Ontario Fire Code. “As smoke alarms age, they lose their sensitivity,” says Vadlja. “Even though the smoke alarm may sound when the test button is pushed, if the sensor is out of date it will not detect smoke and sound the alarm when a fire occurs. He urges people always follow the manufacturer’s instructions for installing, testing and maintaining smoke alarms.